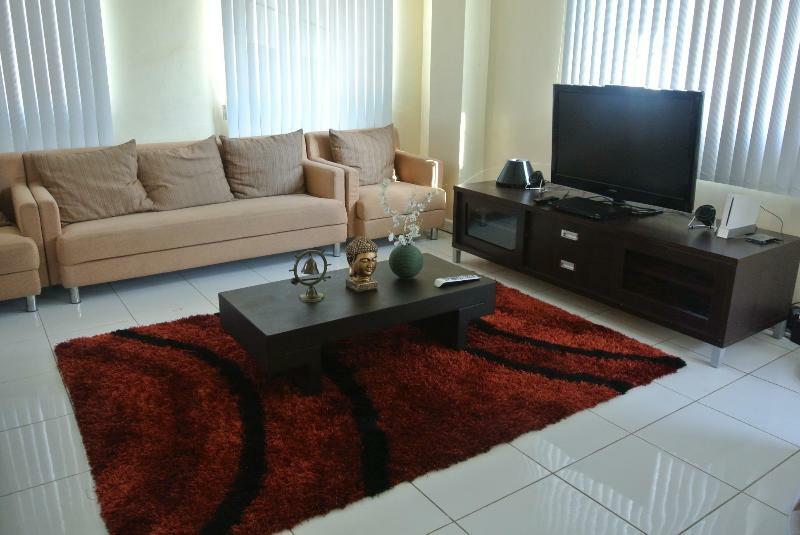 There are 52 vacation rentals in and around Cebu City, Philippines for as low as US $20 per night. My Place is a two storey modern house. This is a shared home with private rooms. 1 Queen Size Bed + Shared Hot & Cold; Shower from downstairs. A Filipino rustic bed and breakfast beach house residence with a private beach access and overwhelming view of the ocean. It is a 2 hectare hacienda Land in Cebu Asturias surrounded with dwarf palm trees and beautiful garden. The Bedrooms is fully aircondition with Bathrooms. We also offer a catering services onsite for your convenience. Please take note this is a private residence with 5 Bedrooms. This is not Hotel. This is a Family surrounded Beach Resorts.